When craving a snack, turn to a healthy one. Check out those vending machines and put in your request with the vending operator to stock what you want and need for a long productive day. Most all packaged food can be vended, fresh fruit, dairy and more. Snacking throughout the day may seem sinful, it’s critical. Experts agree that frequent snacking provides the body and brain with a steady supply of glucose to run efficiently. If that supply dips too low, you get foggy, cranky, even light-headed. You the consumer must make the request to have healthy foods available in your vending machines and micro markets. Next time the afternoon slump hits, instead of reaching for caffeine, sugar or chocolate to stay on top of your game, try these five-minute fixes. 1. One red apple (they boast the most antioxidants) coupled with an ounce of low-fat cheese (string cheese is a good choice) and five whole-wheat crackers – The quintessential teacher’s fruit, apples are chock-full of energy-sustaining fiber and antioxidants such as vitamin C to keep your immune system running strong, says Patricia Bannan, M.S., R.D., author of Eat Right When Time Is Tight. 2. Peanut butter and banana sandwich – Dress up the typical school kid’s lunch by using bananas instead of jam (that was rumored to be Elvis’s late-night food fix). This healthful snack is loaded with heart-healthy fats from the peanut butter, potassium from the banana and fibrous whole grain in the bread. 3. Raw veggies and hummus – Buy ready-to-eat packs of baby carrots, sugar snap peas, broccoli and cauliflower and hummus, then tote them to work in a cooler bag. Veggies are low in calories and high in fiber, and the hummus adds protein and healthy fat, Bannan says. A bonus: Immune-boosting betacarotene and vitamin C in veggies such as carrots help counteract the effects of spending eight hours a day (or more!) in a germ-infested classroom. 4. Six ounces Greek yogurt, plus 1/4 cup low-fat granola – The combination of protein and calcium in the yogurt helps you focus. “Yogurt is more nutrient-dense than milk, boasting higher concentrations of protein and calcium,” Jamieson-Petonic says. “Plus, studies show that tyrosine, an amino acid in yogurt, is responsible for the production of the neurotransmitters dopamine and noradrenaline—both of which improve alertness and memory.” Extra credit: Yogurt contains immune-boosting probiotics. Just make sure it’s plain: Some flavored single-pack yogurts and yogurt drinks have more sugar than a candy bar. 5. Pistachios and dried apricots – This powerful sweet-and-savory combo packs fiber, protein and healthy fats. Stash the potent mix in your purse or desk drawer to keep hunger pangs at bay. The fiber, fat and protein fill you up without weighing you down. A bonus: Pistachios are the only nut boasting disease-fighting anthocyanins and resveratrol, while apricots are packed with important nutrients such as vitamin A, vitamin C, dietary fiber and potassium, and they weigh in at only 17 calories a pop. 6. Energy bars – Fruit and nut bars, assuming you can pronounce all of the ingredients, are a great choice, says Jamieson-Petonic, particularly if they contain at least three grams of fiber and four grams of protein. Look for bars with “whole” ingredients (dried fruit, nuts and seeds) that clock in at no more than 200 calories and less than 18 grams of sugar per serving. IndieWoman is 31 Million Strong with $50 Billion to Spend on Food and that can be food and beverages boast business opportunity in your vending machines. It doesn’t take a math genius to see that these numbers are nothing to take lightly. What a huge difference it would make in your small business if you stocked your vending machines with what will sale. Any single serve frozen entrée, veggies or desserts can be vended, opening up a huge piece of that market pie and promising to boost your profits with VendaCarts. This new trend with attention on the 31 million single woman who have to eat breakfast, lunch or dinner while at work. Make it healthy, convenient and quick-serve to attract those food and beverage dollars with our VendaCarts or VendaMarts. Our mobile retail store can offer anything that can be vended offering many more new locations beating your local grocery out of some of those dollars. A major food influencer in 2014 will be the “IndieWoman .” Almost 31 million strong, these women are 27 and older, single, live alone with no children and spend $50 billion on food and beverages each year – in fact, there are more “Indie Women” in the U.S. than there are married moms. IndieWomen are focused on building their careers, and according to Eric Klineberg, professor at New York University, “they can work late or go out late” and “find it easier to [build their networks and careers] if they don’t have obligations to others.” They have strong affiliations to brands and love to hunt for bargains,according to a Milo.com survey, and 54 percent buy from flash-sales or discount websites. Being single is not being alone, however, as this group has built the same strong support system with friends that families used to provide – a sense of sharing and cohesiveness that extends to the kitchen and dining room table. Look for brands to target this busy demographic through the rise of semi-homemade meals like PF Changs Home Menu, Bertolli or Healthy Choice frozen dinners. 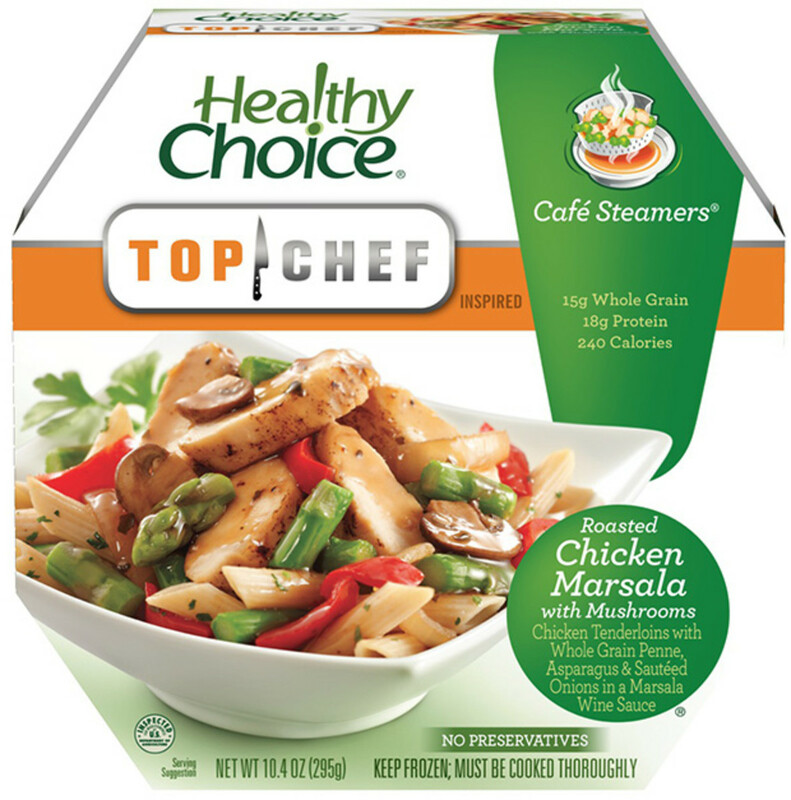 A ConAgra Foods survey conducted by SupermarketGuru.com, which polled the general public, found that 59 percent of all consumers purchased multi-serve frozen meals because of their busy schedules. For Indiewomen, time is of the essence, so look for more brands to cater to this target that wants to cook but might not have the time for a homemade meal every night.